Boo, a little dog, had over 16 million fans on Facebook alone. He died on the night of Saturday, January 19th. This is news that may well ruin your weekend. 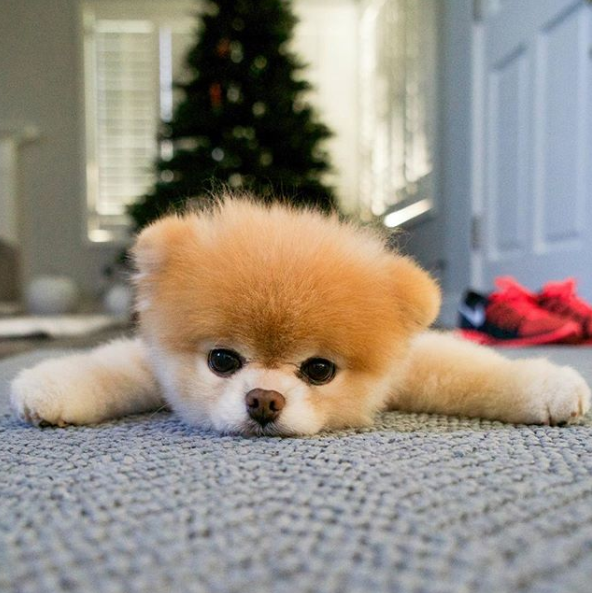 Boo, the cutest dog on the Internet, is dead, his master announced on Instagram on Saturday, Jan. 19. "It is with the deepest sadness that I share with you the fact that Boo died in his sleep early this morning," wrote his master. He explains that the whole family is heartbroken, but that she is delighted to know that Boo is no longer suffering. According to them, Boo had been very affected by the death of his buddy Buddy several months ago. Shortly after his death, Boo began to develop heart problems. Since they had created Boo's Facebook page, his teachers say they have received many messages from people whose lives Boo had enlightened or Boo had brought a little help in times of need. "Boo brought joy all over the world. He was the happiest dog I have ever met, "writes the dog's master. Boo had more than 500,000 followers on Instagram and 16 million fans on Facebook. His master adopted the Pomeranian Lulu (also known as Spitz dwarf) in the spring of 2006.